I'm in love with my VLabel London Bond Dress which can either sit on the shoulders or be worn off the shoulders depending on your preference. As a vertically challenged gal, I've found my loophole into pulling off midi and maxi dresses without a hitch and its all in the art of the dress split. Showing a little bit of leg can add length and shape to a dress that would otherwise swallow you up which is why the Bond Dress was perfect for me! Today are three of my favourite "right now" things combined: reflector sunglasses, lighting/cracked print and metallic detailing. Cracked/lightning print has taken social media by a snowstorm so it wasn't going to be long before I got swept away too. This print adds an edge to the usually neutral black and white and is the perfect contrast with fitted outerwear and boots. Click here to shop the range. I've always been a black blazer kind of gal, if I had a blazer colour option then black would win all the time... until I saw the gold trim blazer. The rose gold tint is the perfect cherry on top for a classic fitted blazer and I love the almost boyfriend length it has on me (perks of a shorter girl). 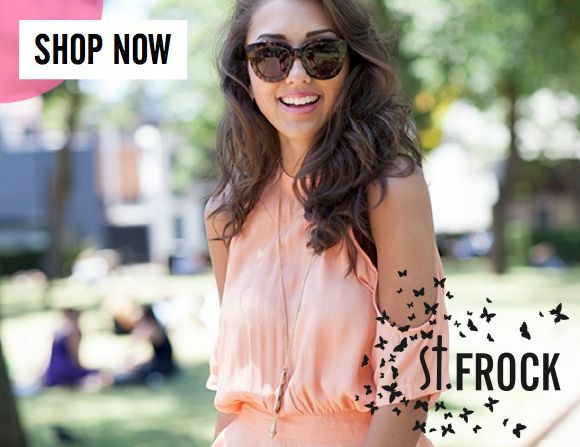 Check out St Frock's range of blazers and outerwear here or by clicking the label below. Adding pops of colour to an outfit gives it a new form of life. Wish's Mineral top added another element (excuse the pun) to a once neglected jacket and skirt. 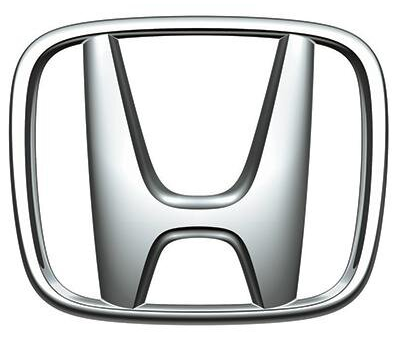 Unfortunately this time around for my Wish x Honda City post, the sun only came out during the last few shots of the set so I've let the top do most of the talking instead of the setting. 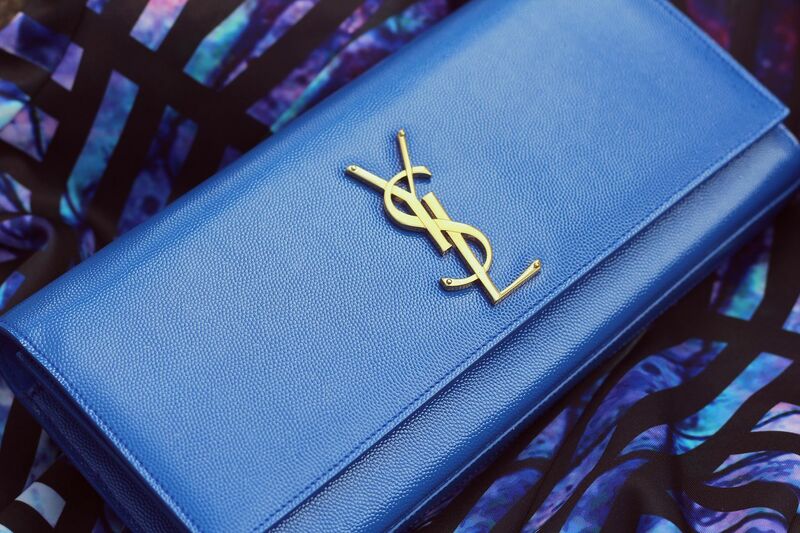 If you follow me on Instagram you can probably tell that I'm a Saint Laurent hoarder. 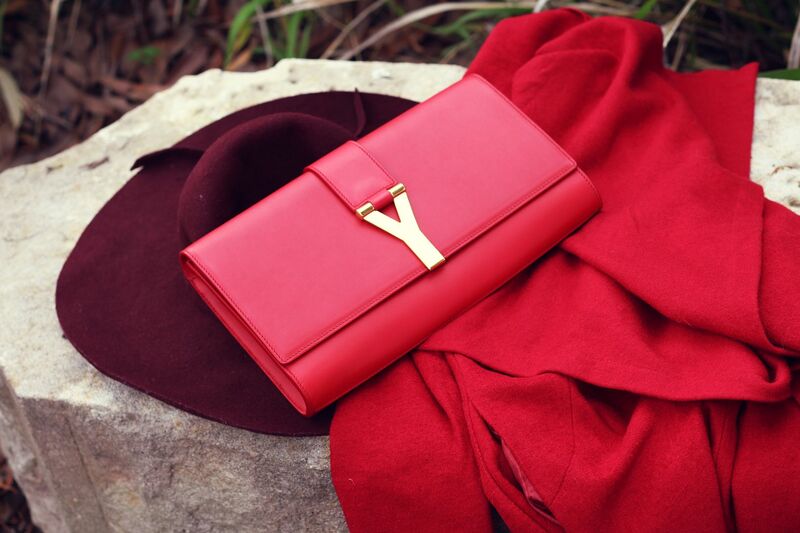 Despite the dropping of the Yves, I can't get enough of the classic YSL logo and the classic clutch is always going to be on my favourites list! If you're a bag hoarder like me - make sure you sign up to Reebonz by clicking this link here to get access to their 40% off sales events happening NEXT WEEK! I don't know about you but 40% off designer items sounds like an early Christmas to me. Soon to come to Cooper St is this stripy collab with Whitney Port and many more for the monochrome lovers and staple hunters. You can't really go wrong with black and white stripes and Whitney Port's modern feminine touch made the Double Take combo my perfect sunday stroll outfit. To see what is available as well as shop the up to 60% off sale click here. If you're wondering why the Balenciaga Classic City Bag is so sought after, it may be because of the Balenciaga hardware details or the fact that it comes in almost every colour under the sun - black, beiges, jewel tones and more, but I'm pretty sure it has something to do with its extremely lightweight feel. The leather is cut thin instead of chunky which makes it extremely easy to wear but still durable with plenty of room for all the necessities and more. The Balenciaga Classic City bag is currently available in over 6 colours at the Reebonz store on George St in the City, Sydney and you can also purchase it online from Reebonz. 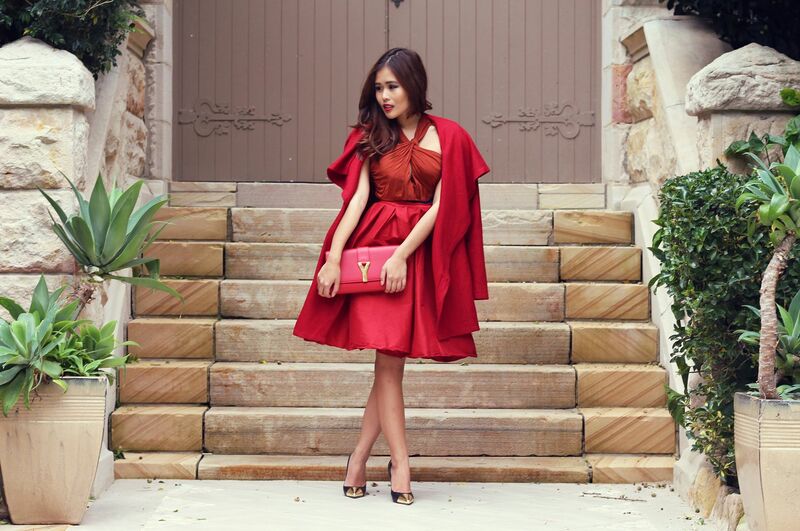 Feeling like little red riding hood on this chilly afternoon in this red ensemble. Although it probably wasn't wise for little red riding hood to walk through the woods alone dressed in red, its definitely one of my favourite pop colours this season and breaks up my winter monochrome closet quite well! There are two things that I love in a coat: large collars and waterfall drapes. This St Frock coat features 2 in 1 with the added bonus of pockets. Its a simple staple coat to match your glass of red ;) and is now available here. I've been apprehensive about the midi skirt, not because it doesn't look great but because I didn't think I had the height for it. I'm not an incredibly tall person and the midi skirt looked like it might be a gown on me but the Chicwish midi skirt was the perfect fit! I can safely say that I've hopped on the midi skirt bandwagon. This classic Y Clutch by Saint Laurent features the iconic Y gold hardware and is the perfect size to fit your wallet, phone and makeup essenrtials. 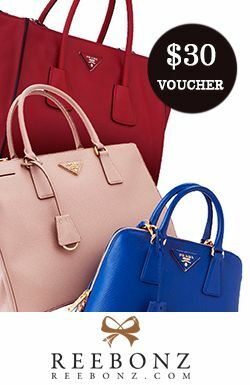 Its a flap front clutch with a magentic snap closure and is available in over 10 colours, if you would like $38 off this bag or any other designer goods at Reebonz just sign up here. Thinking about selling your designer pre-loved goods? If you have valuable designer goods that have been collecting dust and you're eager to sell it, Reebonz can help you with their consignment service! Anyone can consign their handbags with Reebonz and you can either drop by the Reebonz Concept Store on 570 George St, Sydney or if you live outside of Sydney just email sydneyboutique@reebonz.com with item information and images. Remember to click here for $38 to spend on your first purchase at Reebonz! Monochrome is a timeless trend that is transeasonal and easy to wear with anything which explains why the majority of my closet is black and white, but as boring as black and white sounds - it doesn't have to be boring! Structured bustiers like this Fan Fair Bustier by Cooper St and finding a new use for cotton or chiffon cardigans like my favourite draped cardigan from St Frock is definitely something I'm enjoying this season. Long black cardigans are a staple that is often worn casually and in between layers but don't be afraid to mix it up a little. Try draping that cardigan over your shoulders like a cape, it can change a whole outfit and you'll be able to find a whole new use for your favourite cardis!